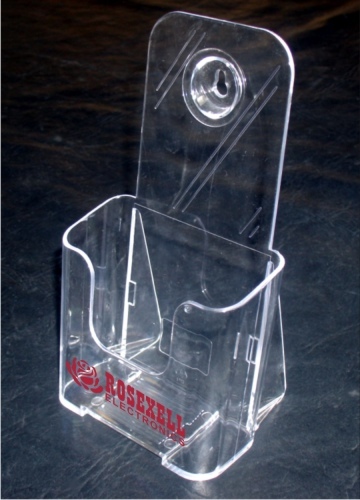 Our Acrylic Brochure Holder has slant back style that adds stability that helps prevent a tip over. This Literature Holder, also known as Tri fold brochure holder, holds 4.00 wide by 1.50 deep (inches). In addition to being free standing holder it features a hole for optional wall mounting. An effective answer for company's seeking a professional look. Provides a very nice presentation that is sure to enhance your image.